The Formula E is back with their third season. 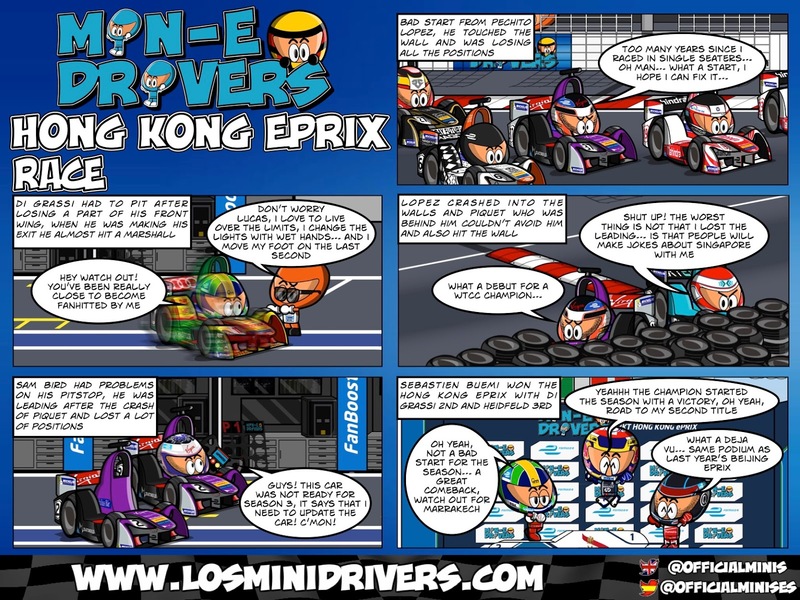 The Hong Kong ePrix is one of the new cities that we will have at this third season and we just saw the first race session a few minutes ago. Want to know what happened? Keep reading! After a strange qualifying without super pole due problems with the barriers of the track, NextEV started on pole position with the DS Virgin behind them, but when the race started Pechito Lopez, who started third, touched the barrier and started to loose positions. Nelson Piquet could keep the first position with his teammate second. We had a crash at the back between Di Grassi and Ma, the brazilian lost a part of the front wing and the chinese driver lost the front wing and part of the rear wing, causing a yellow flag. Di Grassi without that part of the front wing was overtaking a lot of rivals but received the black and orange flag, and the brazilian driver pitted and changed the front wing, and we had a suicidal move from a marshall when the driver was returning into the track. Turvey who was trying to defend the podium, lost the position with Bird and Buemi. Rosenqvist, who was making a good debut, was chasing his teammate but he spun and hit the wall, breaking his rear wing, but the big crash came from Pechito Lopez who hit the wall after the chicane, just at the same moment when Piquet was just behind him, making the leader of the race to hit the wall because he couldn’t avoid the DS Virgin driver, who caused a safety car while the brazilian lost the positions with Bird and Buemi. That safety car was perfect for Lucas Di Grassi because he could recover a lot of positions, but when the race was again with green flag, Bird and Buemi went into boxes, but the DS driver had problems and his car wasn’t working, losing a lot of positions when he could go out. The british driver had to recover positions so he was overtaking the leaders of the race to reach the top 10. Sebastien Buemi won the first ePrix of the season with Luca Di Grassi, making a comeback of 17 positions and Nick Heidfeld who finished 3rd. The top 10 was closed by Prost, Da Costa, Frijns, D’Ambrosio, Turvey, Engel and Sarrazin. Next round will be next month at the Marrakech ePrix, a round that Pechito knew really good. 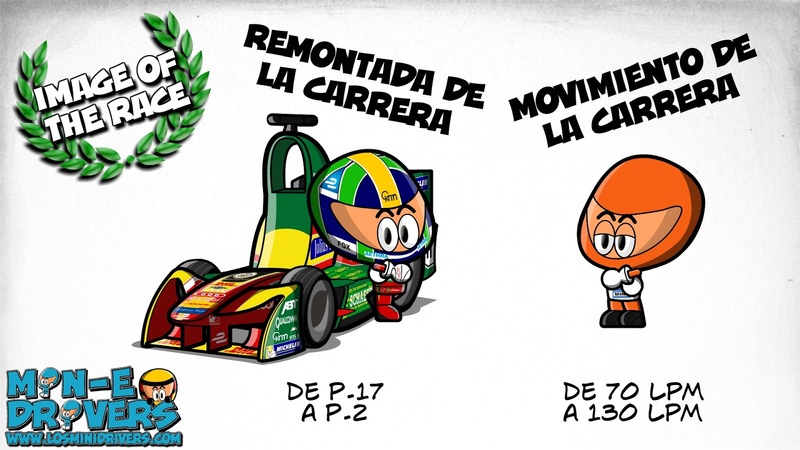 Let’s see if the DS driver can make a better race, and also let’s see what Di Grassi can do this year if he can start in a normal position. See you and remember… Be Mini-good!